Let’s talk about how IUL’s growth (IUL being indexed universal life insurance), how IUL’s growth helps you both before and during retirement. We’re going to take a look at the almighty pie chart to represent someone’s holistic allocation. Oftentimes, regardless of what their asset of choice is, what we find is that people usually have a certain amount of we’ll call it risk-off assets, a certain amount of stable assets and that’s most often cash – sometimes it may be bonds even though they’re not completely risk-off. There actually is a certain amount of risk to them but regardless they keep these, call it less volatile assets, in place so that they can go ahead and aim for their highest rate of return in their risk on assets of choice. And that could be the stock market, mutual funds, it could be real estate investing, it could be their own business. But arguably there are a lot more fluctuations and call it less liquidity over here on the red side of the pie versus the green side of the pie. People keep a certain amount of assets inefficiently placed. In this chart, what it shows is just taking one hundred thousand dollar block of assets. If we just attach a 1 percent growth rate that would be the black line you see here and at the end of this 18 year study period, you can see there isn’t even one hundred and twenty thousand dollars in there not to mention one percent after tax is hard to get in risk-off assets these days. Now the blue line represents the same hundred thousand our block of assets with 5 percent steady compounding. Again, this is just to illustrate the power of compounding and not the actual movements of IUL itself – we are going to do that in just a moment. But what you can see is at the end of the same 18 years, you actually have more than double the assets so instead of one hundred nineteen, you have two hundred and forty thousand dollars. Remember, you started with 100. So that’s an extra hundred and forty thousand dollars. I think the fact that you’re researching how insurance works as an asset class, what you’re tired of is getting no growth and having to sacrifice growth to maintain safety, liquidity, and stability. I think what this video will help to prove is that it doesn’t have to be an “either-or” conversation. Once you’re comfortable and you understand how life insurance works, you can get steady growth, not to mention some additional benefits which we’re going to explore right now. Let’s go ahead and simulate some market movement in this graph reconstructing it using some actual market averages and just so you’re clear about what I’m doing, everything that I put in this column simulates the blue line and everything that I put in this column simulates the black line. I have this handy dandy calculator that I can actually simulate market movements using the S&P 500. I’ll just expand it here so you can see what I’m doing. If we look at the last 18 years I liked it because it’s bookended by some pretty good times – 19 percent and of course the run we’ve had. I’m just gonna go ahead and use that result over here. Now I’m going to use the same period only the same period what I’m gonna do is I’m going to simulate some IUL constraints so let’s make sure we get it back to 1999 and 2016. So this is the actual return here but you can see I can put a floor and a cap, so we’ll just go ahead and use the floor of 0 percent and a cap of 12 and a half percent which is pretty standard. You can get higher floors, you can get 1 percent these days. You can even get higher caps in the 13, sometimes 13 and a half percent range. But if I just use this result and now I overlap these two, what she can see is the black line has the fluctuations of the market. Again that first year we earned 19 percent – you started with 100 and now there’s 119. It dips over the next three years whereas the IUL’s growth goes flat. The market rebounds and you can see that since the IUL didn’t have to lose its place in line, it’s substantially higher than where the actual portfolio would be. And then of course 2008 hit and you have this violent tumultuous drop, again your IUL growth goes flat. And then after that, you actually have some pretty steep growth in the actual market. Since the IUL didn’t have to lose its place in line, it’s off to the races. There is it’s an advantage to buffering against that volatility with IUL floor. You will give up some of your upside and especially in some of the runs you can see that this is steeper here than it is here. 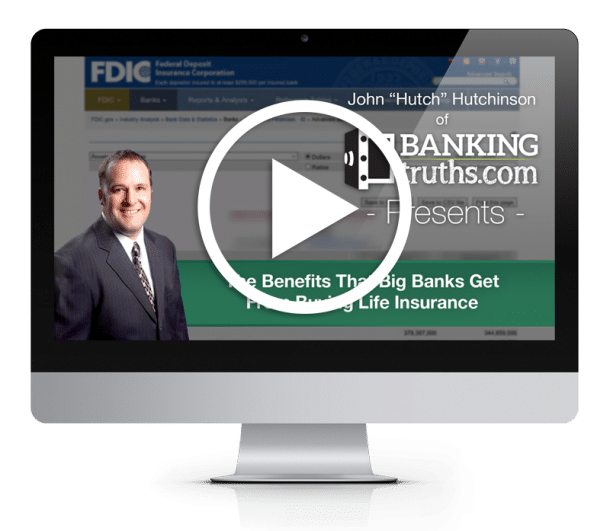 To have money that’s safe and liquid, it’s not as linear as the investment community would have you think – that you get a better rate of return, long term rate of return over here and so therefore you win. You know, I agree – if we stretch this out 30 or 40 years, this probably will win. That brings us to our other point. The best deals that you’re going to get in the stock market or the real estate market or buying equipment or business inventory or buying other businesses or whatever that is, the best deals are going to be had down here. Even if you don’t catch it at the dead bottom, even if you caught it on the way down or you waited for things that stabilize. Arguably, you’re going to get a better deal down here, and what you’re not going to want to do is you’re not going to want to cash out your stocks when they’re down to buy these other assets. However, if you could contractually borrow against your IUL policy. Meanwhile, while the full balance continued to compound for you and you didn’t lose your place in line, there is a serious advantage to borrowing here even though that can be a dirty word because you can double dip. You get all the growth that you’re IUL was entitled to and you can also leverage this other asset building where you often have more knowledge and control. You can stack that on top of the growth rate you get from your IUL and it’s really difficult to do the same thing borrowing against a retirement plan. There’s limits or even borrowing against a taxable portfolio of stocks. There’s risk of a margin call and losing double. But because IUL has this contractual floor and they lock you in, then you take away a lot of that risk. Now we’re gonna talk about the positive impact that IUL can have on a retirement distribution scenario. And we’re gonna use this chart put together by a mutual fund company. It was put together to essentially prove the 4 percent rule and if you’ve never heard of that, what it says is that if you never take more than 4 percent which draws in any given year from your retirement portfolio then you’re going to end up better off than if you take a higher withdrawal rate as you can see here 5, 6, 7, and 8. And if you take these higher rates you really run the risk of running out of money before running out of breath. The greater the withdrawal rate the more you’re playing chicken with your life expectancy and the reason why that is just to set up what’s going on here. They’re showing a million dollar portfolio starting to take withdrawals at age 65 and in this case, they’re backtesting it starting in December of 1972 and it gets all the way to December of 2002 after a very bad period. If you only took 4 percent withdraws your portfolio was able to withstand the barrage of those losses compounded by your withdrawals because remember if you take withdrawals during a down market, it’s really a double whammy negative. Not only are you cashing in more shares of your stocks or mutual funds to produce the same amount of income or more income with inflation. But once you consume that money it’s not able to participate in the rebound. So to just use simple numbers here and we’ll just use 5 percent for a moment – 5 percent of a million dollars is fifty thousand dollars. Now the next year, if the market’s down, to produce the same 50000 again you have to redeem more shares of stocks or mutual funds to produce the same fifty thousand and it’s even worse than that. If we just use a simple 4 percent inflation rate, then the amount you’ll need to withdraw to have it feel like the same 50000 as last year is actually 52000. So you can really see how this downward spiral gets out of control in these scenarios when you start taking more than 4 percent. Now that’s assuming a very linear scenario painted by the investment community because if it were up to them you’d keep your assets managed by them and take no more than 4 percent or even now they’re saying that low-interest rates it’s now the 3 percent rule and they just manage your money for perpetuity over time and you scrape the crumbs off each and every year. If you’re strategic about how you position your assets and take withdraws – if you were able to set up a well-funded IUL policy, perhaps you wouldn’t be painted into a corner of this 4 percent or 3 percent withdrawal rate. Perhaps you could pick and choose where you took your assets from in any given year. So you have your portfolio assets and you’re going to have your stocks and bonds and mutual funds. If there was a down year what you could do is you could say, you know what I’m not going to take any withdraws from my portfolio. I’m going to let them rebound I’m going to let them heal. Even though your IUL also would not be experiencing any crediting, there is always a zero percent floor in indexed universal life unless there’s a 1 percent floor. So you could take withdraws or you could take loans and sometimes people hear the word loan or borrow and they just see red. But there may be an advantage to taking loans because you don’t want to kill the goose that could potentially keep laying these golden eggs for you because there are fluctuations, there are more downturns to come. You could take excessive loans from an IUL policy and and let your market based assets heal and remember the IUL even though there’s volatility, right, there’s the stair stepping effect and you can’t time the market but when you borrow against an IUL policy you have the ability to fully participate in the stair steps. Nobody knows how long this downturn is going to last. You don’t miss out on the ride when you’re borrowing against IUL and when the market did come back and finally rebound, what you could do is you could then redeem less shares of your stocks and mutual funds and you can make your IUL whole and pay back those loans using less shares of your stocks and mutual funds now that they had a chance to heal and rebound. Let’s not forget that the banking strategy is still in play and that some of the best opportunities are these dips these little minor corrections where everybody else is afraid and of course these major corrections where everything is selling for deep discounts. If you were well positioned in an IUL policy, well there be no love lost because you can still fully participate in the growth inside your IUL policy and you can borrow against to take advantage of some of these downturns to invest in real estate, invest in your own business, or whatever your asset class of choice is. A lot of my clients are very successful entrepreneurs. Even though they may already have enough money where they don’t need to keep working, I noticed that entrepreneurs are wired such that they’re always looking for opportunities they’re always taking advantages. It’s just how they’re built. They see the opportunities and they pounce. You don’t lose that in retirement with IUL you still have that ability to fully participate in your policy’s growth while taking advantage of very unique and timely situations. If you don’t understand how that works, you just hear the word borrow and it just makes you cringe I highly recommend you visit one of our flagship videos at BankingTruths.com/basics-branch and there’s a six minute video that’ll show you exactly how that works. You can also subscribe to our channel on Youtube and stay current and be alerted in real time as we produce new videos because there will certainly be more to come.